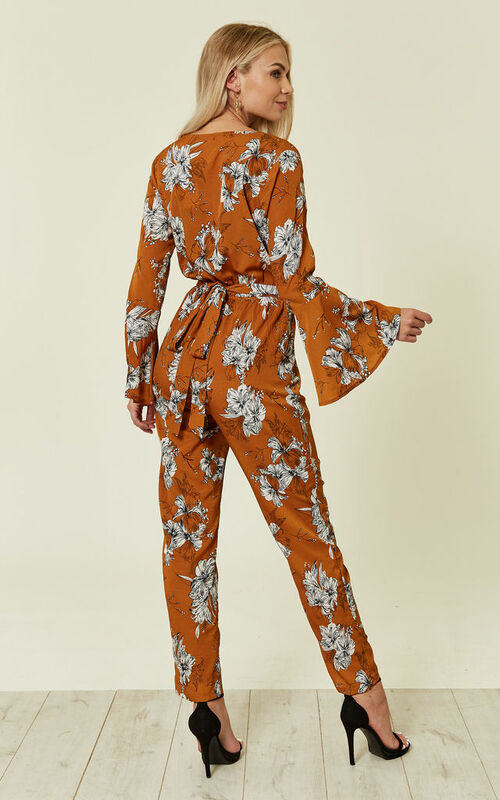 Look and feel stylish this season in this Mustard Floral Print Jumpsuit with Bell Sleeves! It cinches in at the waist to flatter your figure. To complete the outfit pair with black heels.